We are one of the best engineering companies in the Toronto, ON area, and we strive for perfection in every task that we take on. There are a number of reasons why you might be looking at engineering companies. Perhaps you own a construction business and need a trusted partner to design structures of all different shapes, sizes, and functions. Or maybe you are looking to have your dream home built but aren’t sure where to start on having it designed and constructed. No matter what your needs are, our team at Belanger Engineering is here to help. We are one of the best engineering companies in the Toronto, Ontario area, and we strive for perfection in every task that we take on. 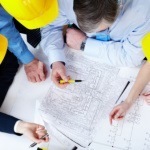 Some of the common areas of engineering include civil, electrical, structural, and mechanical engineering. Typical job duties of an engineer vary based on his or her specialty, but could include designing mechanical components for a car or airplane, partnering with an architect to create a functional design for a new structure, or creating a new way to power a device that will hold its charge longer. Many engineering companies work in team-based settings, and at Belanger Engineering, we are no exception. We believe that individuals work better together and can come up with stronger concepts when supported by team members. Among engineering companies in the Toronto area, we are one of the leaders. Contact us today for more information on how our experienced engineers can handle tasks and ensure that all of your needs are met and expectations exceeded. We have more than 20 years of experience in the industry and also have a long list of happy customers who continue to use our services again and again. At Belanger Engineering, we are proud to be one of the engineering companies serving Toronto, GTA, Mississauga, Markham, and Ajax, Ontario.